One sunny Sunday, the caterpillar was hatched out of a tiny egg. He was very hungry. On Monday, he ate through one apple; on Tuesday, he ate through three plums--and still he was hungry. 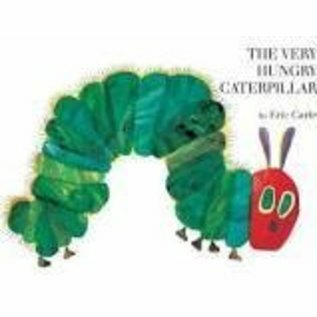 Strikingly bold, colorful pictures and a simple text in large, clear type tell the story of a hungry little caterpillar's progress through an amazing variety and quantity of foods. Full at last, he made a cocoon around himself and went to sleep, to wake up a few weeks later wonderfully transformed into a butterfly!